The Accountant and Warrior director Gavin O’Connor is reportedly in talks to direct the upcoming film Suicide Squad 2, according to Deadline. Variety has added his name as a writer as well. Some of the other names that were in play for the Suicide Squad 2 directing job included Jaume Collet-Serra and Mel Gibson. Collet-Serra is now directing Disney’s Jungle Cruise. Directed by David Ayer, the first Suicide Squad stars Adewale Akinnuoye-Agbaje, Adam Beach, Jai Courtney, Viola Davis, Cara Delevingne, Karen Fukuhara, Jay Hernandez, Joel Kinnaman, Jared Leto, Margot Robbie and Will Smith, most of whom are likely to return for the big screen follow-up. The 2016 original wound up bringing in more than $745 million at the worldwide box office. In the first film, a group of villains have been put together by U.S. intelligence officer Amanda Waller. They’re sent on a mission that is doomed to fail. They have to decide to band together or if it’s everyone for themselves. Gavin O’Connor is known for directing The Accountant starring Ben Affleck, Anna Kendrick and J.K. Simmons. He’s also directed and has a writing credit on the 2011 film Warrior, starring Joel Edgerton and Tom Hardy. O’Connor has also directed Tumbleweeds, Pride and Glory and Jane Got a Gun, starring Natalie Portman, Joel Edgerton and Ewan McGregor. Warner Bros. is developing a sequel to The Accountant. 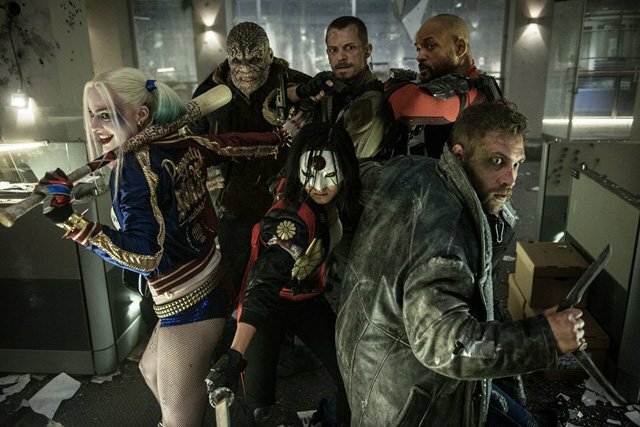 What do you guys think of Gavin O’Connor writing and directing the sequel to Suicide Squad? Are you on board with seeing the return of the characters who made it through the last one? What story do you want to see them tell? We want to hear from you. Leave us your thoughts in the comments below or tweet them to us @ComingSoonnet.